Known as the heel of Italy’s ‘boot’, Puglia is Italy’s south-easternmost region. With delicious food, picture-postcard towns and striking architecture, this region is every Italophile’s dream. 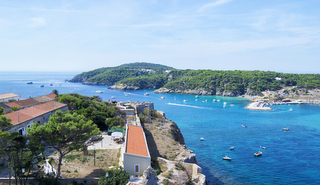 With 800km of coastline, Puglia is Italy’s longest coastal region. Inland, the landscape is essentially flat, carpeted with seemingly endless olive groves and punctuated by small hills with medieval hilltop towns. With their white-washed façades, many of the towns and villages have an almost Greek feel to them. Puglia’s invaders - from the ancient Greeks, Romans and Byzantines to the Normans and Spanish Bourbons – each left their own mark on the region’s architecture. The best-known are the conical-roofed trulli, scattered across the countryside of the central region of Valle d’Itria, with the nucleus at the rather touristy town of Alberobello. The medieval watchtowers which dot the coastline are a reminder of the ancient threat of Saracen invaders who also left kasbah-like quarters in several towns and cities, such as Bari. 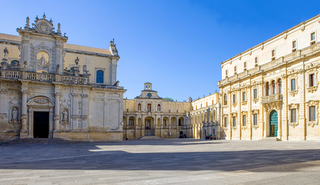 The magnificent Baroque architecture in towns such as Lecce is a legacy of the Spanish. For anyone keen to squeeze in some hiking, there are two national parks, the forested Gargano promontory in the north east and the Alta Murgia national park in the west. Take in vistas of castles and prehistoric tombs as you walk, or glimpses of pink flamingos at the Sentiero Airone nature reserve. There’s more walking and cycling at the Torre Guaceto nature reserve, just 15 km from Brindisi. 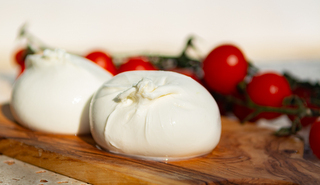 Sample the best of Puglian cuisine in local masserie and hideaway restaurants and be sure to include rustic Altamura bread and mozzarella, scamorza and creamy burrata from Gioia del Colle on your ‘must eat’ foodie experiences! You won’t be surprised to learn that the Pugliese take their food very seriously! The local cuisine is generally based on old peasant traditions and quite unsophisticated, focussing instead on the abundant fresh seafood, pasta and locally-sourced vegetables. In fact, the region is the largest producer of olive oil and wheat for Italy. Favourite pasta dishes include orecchiette (little ears), paired with mussels, but other varieties specific to the region include cavatelli, troccoli and gruessi. Aged ricotta, white beans, wild fennel and courgette flowers are often combined with pasta. 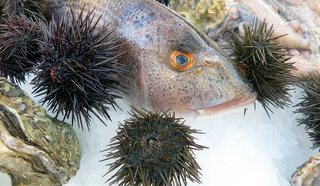 The area around Brindisi is known for ricci (sea urchins) with some shack-style restaurants serving them straight from the water. Meat is less common although some butchers and street food stalls serve grilled bombette (little meat parcels filled with mince, ham and cheese) straight from an open wood-fired grill. 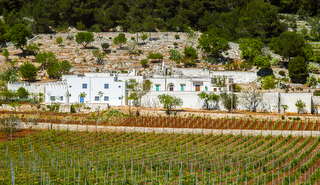 Wine production is significant and many of the vineyards are small plots owned by local families. The region is best known for three red grapes, Nero di Troia, Primitivo and Negroamaro while excellent white wines are made from the local Fiano Minutolo, Verdeca and Bianco d’Alessano grapes. The Moscato di Trani DOP is a local dessert wine dating back to the 13th century. Find time to visit several of the region’s principal towns although it is the smaller towns that are the most memorable. Of the larger towns, the old town of Bari has narrow cobbled streets but is still rather rundown while Foggia in the north has numerous ancient churches and palaces. Lecce, home to honey-coloured baroque architecture and elaborately carved church façades, is known as the ‘Florence of the south’. 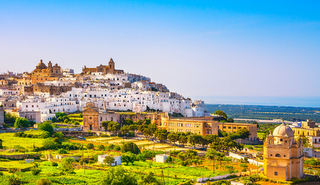 Two of the more attractive smaller towns are the white city of Ostuni, with its Spanish-inspired cathedral, and Otranto with its imposing castle and cathedral with 12th century vast Norman mosaic. 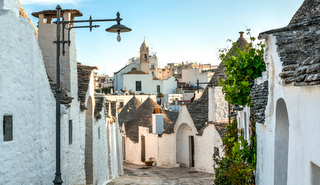 The central Pugliese towns of the Valle d’Itria - Alberobello, Locorotondo, Cisternino, Ostuni and Martina Franca – are charming but be prepared for a fair share of tourists, mainly due to the concentration of trulli. On the coast, favourites include Polignano a Mare, Monopoli and Trani, a fishing village based around a centuries-old stone harbour. The highlight of the town is a stunning 11th century cathedral. Head across to the tiny traffic-free Tremiti Islands with their white-washed fishing villages and underwater caves and coral reefs. The Gargano promontory is the closest point on the mainland. 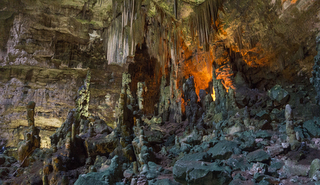 Go underground for first-class views of alabaster, stalagmite and stalactite sculptures. The Castellana Grotte at the edge of the Valle D’Itria is a 2-mile long labyrinth of passages and caverns. In terms of specific events, annual highlights include the excellent Otranto Jazz Festival (July) and the Valle D’Itria Music Festival (July/August). The Putignano Carnival (February/March) is one of Italy’s oldest carnival celebrations, complete with masquerades, parades and allegorical chariots with papier-mâché giants. Easter is celebrated with spectacular events all the way from Gargano down to Salento. Most notable are the processions in Taranto where spectacular displays of religious fervour take place. Whilst none of our tours focus specifically on Puglia, an extended stay in Puglia is a great start or end to our tours to the Abruzzo and Southern Italy. Our tour in Southern Italy ends in Matera on the Basilicata/Puglia border. 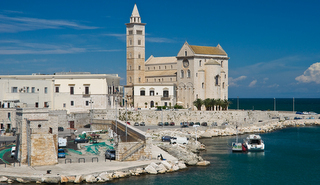 Puglia is very well connected to many cities in Europe and the Italian mainland with an ever-increasing number of flights to Bari or Brindisi airports. More information from www.viaggiareinpuglia.it/hp/en.